The stylish streetwear label without secrets: ZRCL is transparent from cultivation to sale, fair, organic, CO2 neutral and ecologically. Available from August. ZRCL stands for the English word «circle» and symbolizes the circle that surrounds us and which we are part of. This circle is our family, our friends, our life, our nature, our earth and the life cycle of those products that we consume daily. ZRCL is the streetwear label without secrets: transparent from cultivation to sale, fair produced, made from organic cotton, CO2 neutral and ecologically. ZRCL wants to be a role model, spread knowledge and encourage people to change. Become a part of the circle – and support ZRCL at launch! The launch of a brand is associated with very high costs. I want ZRCL to be independent, without major investors (and their interests) and I want to create this brand according to my own visions. Therefore, I would ask you to support this crowdfunding campaign. You can also support ZRCL for free: Let your friends, acquaintances and relatives know about this crowdfunding. Watch your consumption – and follow ZRCL ideologically. You can seek advice on our website! This project ended successfully on 19/8/2015 12:00! Thank you very much! Now you’re part of the circle and you are officially invited to the launch of ZRCL. Wow, you love organic cotton! You receive a bioRe® cottonseed package, with which you can raise your own cotton plant. + invitation to the launch of ZRCL. Now the fun begins! To thank you for your support, you get a basic T-Shirt from ZRCL. + invitation to the launch of ZRCL. Awesome! You receive an exclusive ZRCL T-shirt which is not commercially available. + invitation to the launch of ZRCL. #whomademyclothes? We show you. 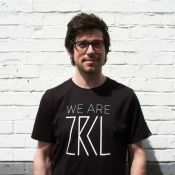 Together with a ZRCL logo T-shirt you receive a personal letter from one of our sewers. + invitation to the launch of ZRCL. For your support you receive an exclusive ZRCL T-shirt which is not commercially available and an ECOtanka bottle from ZRCL. + invitation to the launch of ZRCL. You are more the adventurous type? For your support you get a limited ZRCL Swiss Army Knife from Victorinox and an exclusive T-shirt. + invitation to the launch of ZRCL. Your motivation is huge! Thank you! With this contribution you get the ZRCL gift set: an exclusive ZRCL T-shirt, the ECOtanka ZRCL bottle and the limited ZRCL Swiss Army Knife. + invitation to the launch of ZRCL. Wow, this is amazing! You get one of the ten exclusive prints from Matt Allen’s artwork, which decorates the first artist series of the ZRCL collection. Signed by Matt Allen! And the artist series T-shirt as well. + invitation to the launch of ZRCL. Now it’s getting personal! As a reward you and a friend of yours are invited to my place to a freshly prepared dinner cooked with biological and local ingredients. + invitation to the launch of ZRCL.